Once you have collected this stuff from an online store, you can start making some nice necklaces. Here are some steps which will help you do that. packets online. 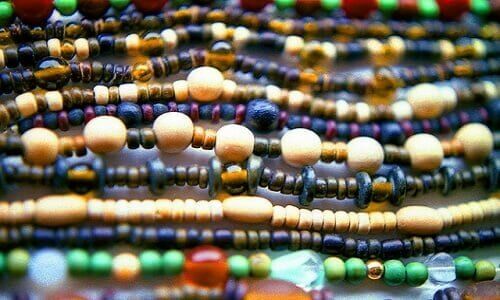 Unique and feminine, these beads can help you create a one of a kind necklace. Don’t forget to check out the 10mm dark brown flower shaped wood beads available at GoodyBeads online. Take your beading wire and cut out the required length out of it. You can do this correctly once you have determined the size of your necklace. Make sure you cut out a little extra wire out of the beading wire roll. Firstly, slide a tiny regular bead into the beading wire. Afterwards, slide the crimping bead. Last but not the least, slide another tiny bead. Place one end of the clasp after the crimp bead and make a loop with the beading wire. Now, place the end of the beading wire through the clasp section and the bead-crimp-bead combo. You can use crimping tool or chain nose pliers to crimp the bead in place. Think of a good beading design and create the same on a flat but sift surface. You can lay your design on a couch seat. You can also use a bead board for this. Once you are satisfied with the design, you can put the beads into the beading wire. Crimp the beading wire’s second end and make sure you leave some space for the beads to move.